Car maker Fiat Chrysler is recalling 1.9 million vehicles over an air bag defect that may be linked to three deaths and five injuries. The defect may stop air bags deploying and seat belts tightening in a head-on crash. Certain Chrysler, Dodge, Jeep and Lancia vehicles from 2010 to 2014 are being recalled. There have been a number of car industry recalls for serious air bag-related issues this year. 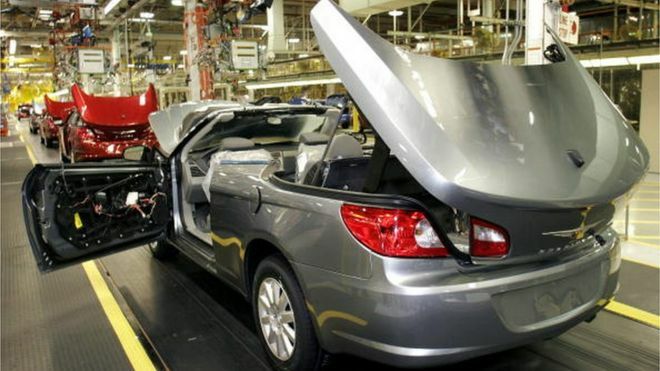 Most of the Fiat Chrysler cars being recalled are in the US, but 224,860 were sold in Canada and Mexico and 284,051 were sold outside North America. Models including the Chrysler Sebring, 200, Dodge Caliber, Avenger, Jeep Patriot and Compass SUVs are part of the recall. Fiat Chrysler said it would contact owners and replace the parts free of charge. In June, Toyota recalled 1.4 million cars over faulty airbags.